H&R VTF Featuring Inverted Adjusters: An H&R Exclusive! | H&R Special Springs, LP. 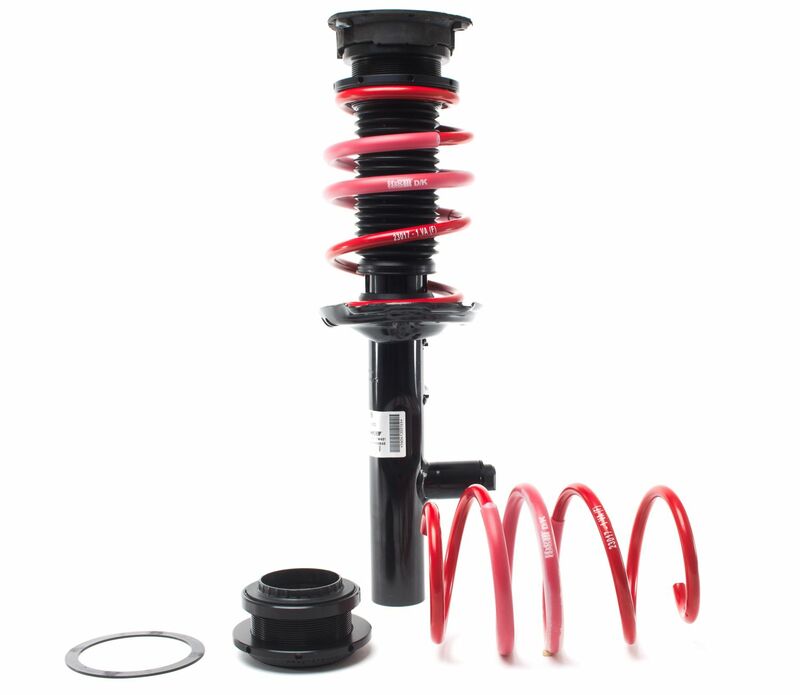 H&R continues to innovate with our new VTF Adjustable Lowering Springs. More lowering, more features, and more personalization. 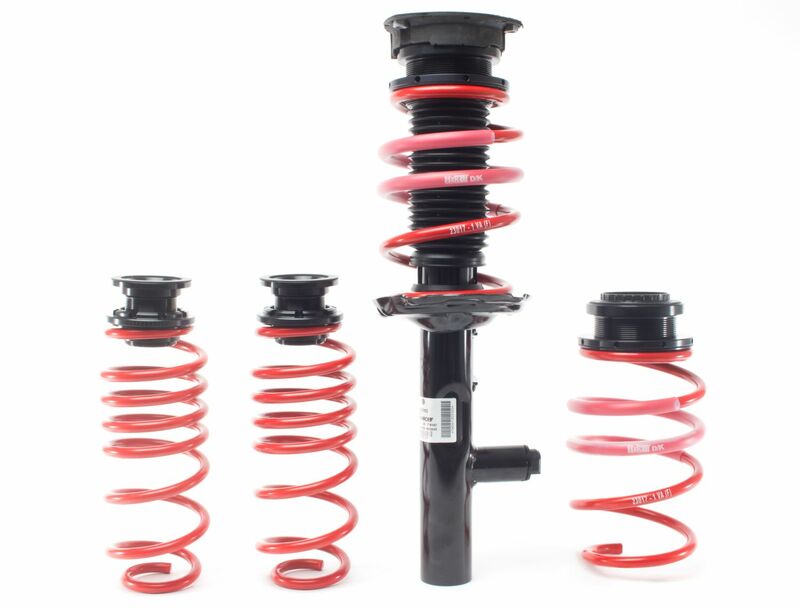 Lower your vehicle with world-renowned H&R Sport Springs and have the advantage to fine-tune lowering to your own taste! H&R’s newest VTF kits (part#: 23017-2 and 23017-1) fit the new Audi A3, as well as several MK 7 VW Golf applications, and features H&R exclusive inverted adjusters, allowing for more compatibility and ease of use! These kits lower from a range of .60 – 2.0” on average for both front and rear, allow all electronic adjustable factory shocks to maintain their functionality, and are designed to work with original equipment Dynamic Chassis Control (DCC). 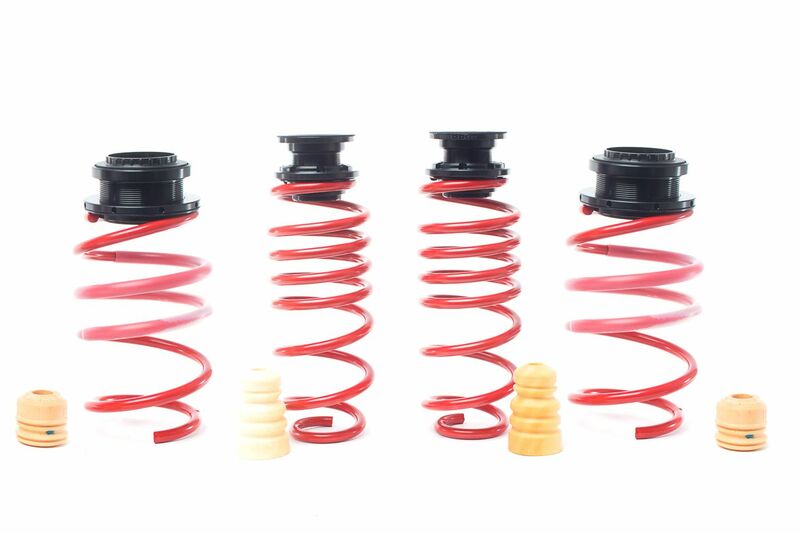 These H&R VTF kits come with special specific Sport Spring designed for your vehicle, adjustment collars to fine-tune lowering to your taste, and H&R exclusive invertered adjusters . All parts in the H&R VTF kits are specifically designed for each application. H&R ride development engineers sought to improve handling while providing superb ride quality, and they achieved just that. Like all of H&R’s products, H&R VTF kits are 100% made in Germany and use inductively tempered spring steel for unparalleled tensile strength and resiliency, for maximized service life, for miles of smiles. 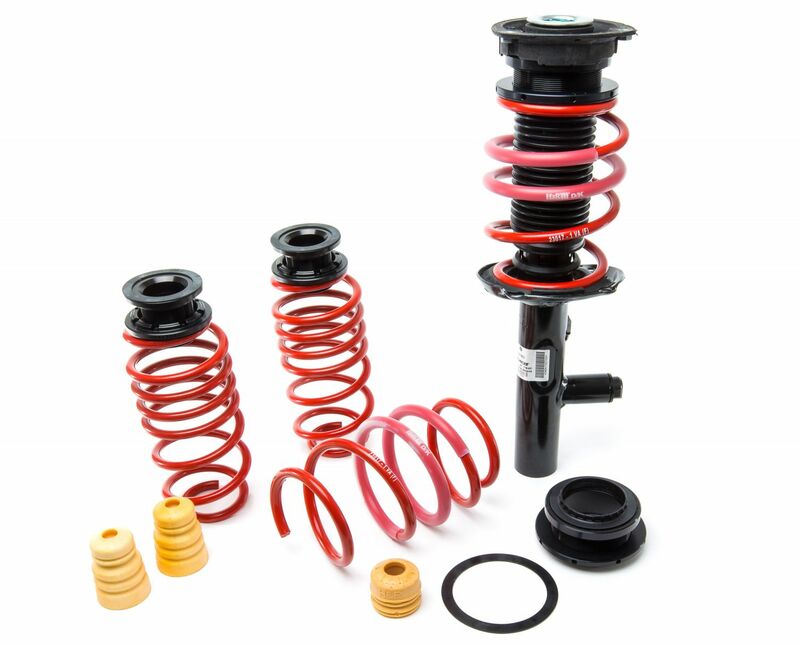 H&R Special Springs is a German-based suspension company that has been built on a foundation of superior quality, true performance and the best customer service. H&R has established a proven heritage of unsurpassed industry respect and customer confidence, all of which gives H&R the definitive edge in suspension tuning and design. All H&R products are crafted in Germany and exceed ISO 9001 quality assurance standards. H&R maintains a U.S. facility located in Bellingham, Washington, where additional testing and research are conducted. For more information, visit www.hrsprings.com and www.trakplus.com or call (888) 827-8881.